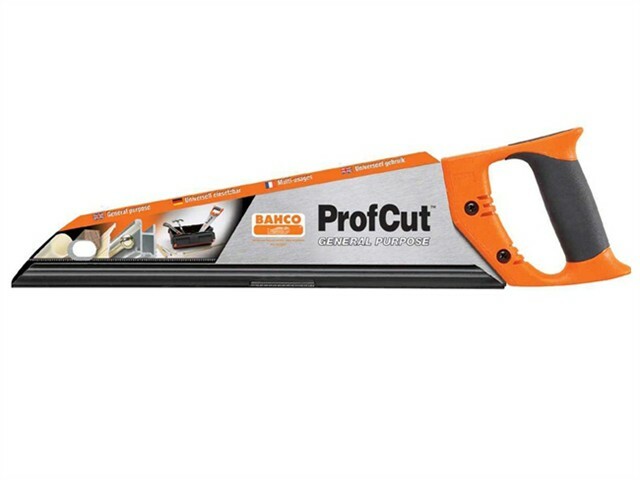 Bahco ProfCut General Purpose fleam-toothed saw with very fine teeth for smooth sawing in a wide variety of materials such as plastics, laminates, wood, chipboard and soft metals like aluminium. Toolbox sized for easy storage. Slim blade and nose for easy access. Screwed one-piece, 2-component plastic handle.